If you are visiting the super Raymond Dépardon photography show at MUCEM, there’s still time to cross the road to the delightful Musée Regards de Provence to catch the last weeks of Marseille Eternelle. You will be guaranteed a relaxing viewing of these colourful local paintings…a better experience than I had visiting the Rembrandt exhibition in London! 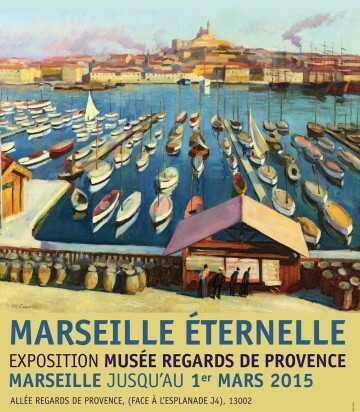 The Marseille Eternelle exhibition is on, daily, 10-18:00hrs. 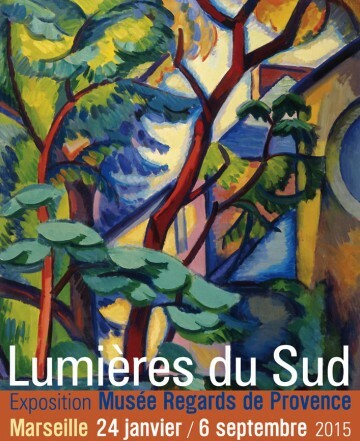 Starting 24th January, ‘Lumieres du Sud’ brings together artists from the 19th and 20th centuries who were either local or came to Provence to paint. If you haven’t visited this gallery, do try the restaurant or café on the roof terrace for some great views. Plus there’s a shop selling these collectable posters. The Musée Regards de Provence is a good bet for a calm artistic experience!